If you've only seen the movie, you haven't really experienced the full power of The Lion, The Witch, and the Wardrobe. Four siblings enter a wardrobe and find themselves in Narnia, a magical, but dark wintry land ruled by the evil White Witch. In many ways darker and deeper than the Harry Potter series, the story takes on a life of its own in the reverential and spirited voice of Michael York. The beauty of the story owes much to the real world background of England during World War II. The four young heroes and Aslan the lion are lovingly created and detailed, and audio brings them to brighter life in one's imagination than any movie or visual recording can. Michael York's reading of this treasure is as enchanting as the story. His British accent is fitting, all intonations are perfect, and he adds just the right amount of drama in all the right places. Have your family gather around your favorite speakers for this one, or save it for yourself -- a perfect antidote to a rainy day. The difference between narration and diologue volume was a bit much. I had to constantly adjust the volume as I was listening because the narrator would speak rather softly, then as soon as someone said anything with any amount of emphasis, I'd have to turn the volume down to keep the audio at the same level. Michael York read this classic, and I doubt he read and loved it as a child. He reads it as if to a child --- the same is true of Derek Jacobi's reading of "Voyage of the Dawn Treader." 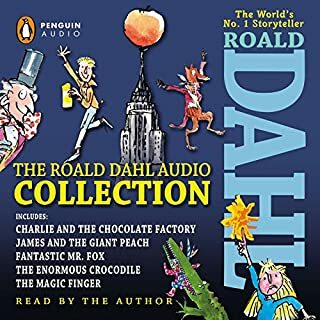 So if you want this audio book for a child, that's fine. If you want it for you, it lacks depth. More could have been gotten out of it. The best reading of C.S. 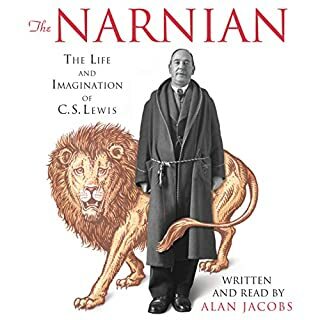 Lewis I have found so far is Kenneth Branagh reading "The Magician's Nephew," the first in the Narnia storyline. In my opinion, it's a labor of love: he loved it as a child and really knows the book and how to read it. There ARE no lovelier fantasy tales for readers (and listeners) of all ages than the Narnia books. I greatly enjoyed this version. However, I found the variations in the volume in this audiobook to be problematic. They added to the dramatic effect, but Aslan's roars were often painfully loud, while narrative and dialogue were sometimes too soft. I couldn't seem to find a volume level that worked with either (1) my ears or (2) my MP3's players ability to equalize it. This is only my second foray into the land of audiobooks (after my first with Mary Shelley's "Frankenstein") and I am again pleased that I decided to use my commute time wisely! "The Lion, the Witch, and the Wardrobe" has always been one of my favorite stories and I have not read it in almost 10 years. I'm so bogged down with other books I'm reading at the moment, so I decided to "read" it while in the car. The best part about this book, other than the lovely story, beautiful imagery, and wonderful characters, is Michael York's interpretation of the story. Other reviewers found him annoying, but I appreciated how he differentiated the characters. His enthusiasm during Lucy's discovery of Narnia is particularly wonderful. 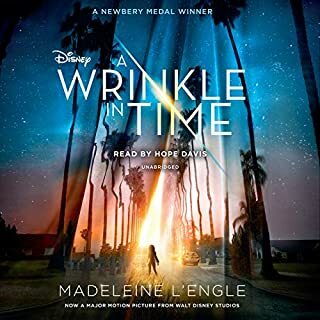 I enjoyed listening to this book very much and I highly recommend both the book and this particular audio version as well. Happy listening! What made the experience of listening to The Lion, the Witch, and the Wardrobe the most enjoyable? The story is wonderful and not just for children. Michael York's reading made it come alive. The reader can suspend disbelief and truly go through the magical wardrobe. Which character – as performed by Michael York – was your favorite? I enjoyed hearing Edmund's voice as he goes through all too human failings. It was great to listen to the book a bit at a time and let the magic sink in. CS Lewis' Christian message seems a bit heavy handed to the 21st century reader, but still powerful and poignant. 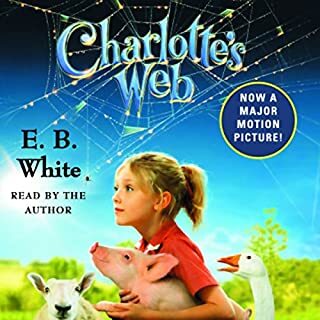 My son has gotten so many good books in audio lately and this is one of the better ones. My wife and I enjoyed listening to this. For anyone expecting another Lord of the Rings, this isn't it. 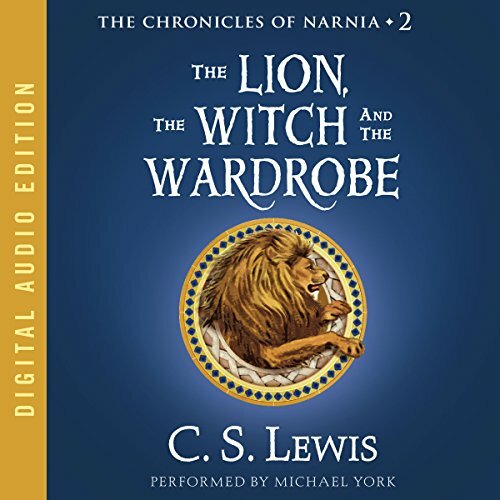 The Lion, the Witch, and the Wardrobe is a children's story of old, and like all children's stories of old it has a certain refreshing simplicity. I highly recommend the whole series. The audio quality is great and the the narrators use entertaining voices for the different characters. Plus, it's cool to hear famous people like Kenneth Branaugh and Patrick Stewart reading. All the narrators in the series do a great job. If you're a Christian, I also recommend reading some of C.S. Lewis's theology before reading the series because you see many of his theological ideas surface throughout the series and I think it adds richness to the experience. If you're not a Christian, I still think the books are enormously entertaining and I remember enjoying them as a child before I knew that C.S. Lewis was a Christian and long before I was a Christian myself. I liked actually reading this better. As much as I've liked some of Michael York's screen acting, I didn't quite appreciate his reading. It was a bit slow, and his voice didn't change much between characters. The story itself is excellent, as always, but seemed to progress a bit slower than when I actually read it. Children would be able to follow along easily, though. I have adored the Narnia books since I was a child, and the story is still magical for me. I?m giving this 4 stars because of the narrator. Mr. York reads _The Lion, the Witch, and the Wardrobe_ as though he?s reading Peter Rabbit, as though his director told him, ?Now, Mr. York, please don?t read this in a way that will frighten the children.? He reads dark, scary passages with a patronizing smile in his voice. It?s very irritating. 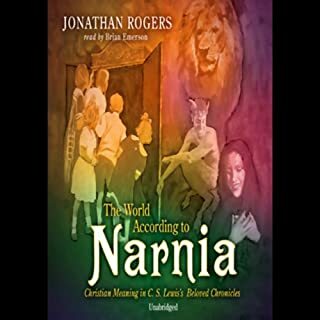 The good news is that the story?s brilliance still shines through, and Mr. York does not narrate the other Narnia books. 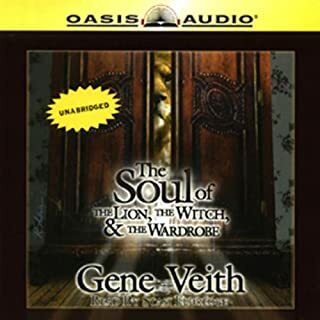 The Lion, the Witch, and the Wardrobe is a classic children's story if there ever was one. The upcoming movie promises to be equally as brilliant and original as this when it was first published some 50 years ago. In case you who don't know, the first dramatization of The Lion, the Witch, and the Wardrobe was done in 1988 by the BBC. The movie has a distinctive British flair and is well done. It's out on DVD and VHS with a few nice extras. Unlike the previous reviewer, I thought this audio edition was well done. It shows it's age a bit, I think the original recording was done several years ago to celebrate the 50th anniversary.